The following originally appeared as a blog on the British Medical Journal website on 18 October 2017, and is written by former C3 Board member Richard Smith. Hypertension is the world’s leading cause of premature death, ahead even of tobacco and obesity, and most of those deaths occur in poor countries. Yet the health system in most of those countries is unable to help people with hypertension. Tazeen Jafar, a nephrologist and professor of health services and systems research at Duke-NUS Medical School in Singapore, is leading a team trying to devise a scalable system that will work in the countries of South Asia and beyond. Jafar described her work at a C3 Collaborating for Health breakfast seminar in London last week. Expansion in the world population, globalisation, urbanisation, aging, changing diets, obesity, and the movement of people from agriculture to sedentary jobs all contribute to hypertension increasing. There are expected to be 1.5 billion people with hypertension by 2025, and South Asians are particularly prone to hypertension. Jafar showed how for the same Body Mass Index children in Pakistan have a higher blood pressure than white children in the United States. In low and middle income countries 35% of people aged 30-70 in urban areas have hypertension and 39% in rural areas. Yet less than half of those people are aware they have hypertension, considerably less than half are treated, and only 12% of people in urban areas and 5% in rural areas have their hypertension controlled. And people in rural areas compared with those in urban areas in low and middle income countries have a higher rate of strokes and heart attacks and higher death rates when they have a stroke or heart attack. Jafar studied the knowledge of doctors in urban areas in Pakistan and found great ignorance: a third of the doctors treated people with hypertension with sedatives and many stopped even effective treatments when patients’ blood pressures returned to normal. There is no lack of guidelines on how to treat hypertension, but the problem is implementing them. Since the early 90s Pakistan has had a cadre of Lady Health Workers created by the then president Benazir Bhutto. These women visit homes providing antenatal care, family planning, and vaccination. They are each responsible for about 250 households. Jafar proposed adding to their responsibilities education on hypertension and designed a trial with two interventions: home health education by the Lady Health Workers; and education of doctors. The education provided by the Lady Health Workers covered nutrition, smoking, physical activity, and drug adherence and as well as being trained on those subjects the workers were taught “culturally sensitive behaviour change communication techniques.” The doctors were given a day’s training with a certificate at the end (compulsory I’ve discovered in Asia and Africa). The trial, which was funded by Wellcome, was a cluster randomised trial with four arms with three clusters in each: usual care; home health education alone; doctor training alone; and a combined intervention. There were 3546 adults over 40 in the trial, and 1341 with blood pressures above 140/90 mmHg were treated. The results showed a reduction of 10 mmHg systolic in those receiving both interventions and no effect with the single interventions (all three arms, including usual care, showing a reduction of around 5 mmHg). An economic evaluation showed the intervention to be cost effective by the criteria of the World Health Organisation and as affordable as traditional programmes like malaria prevention. 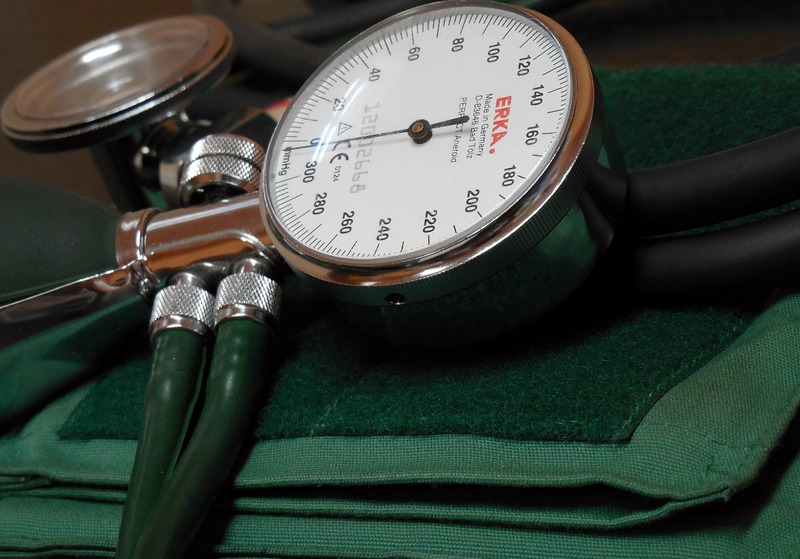 This trial showed that it was possible to improve the care of people with hypertension, but the trial was conducted only in urban areas when most people in South Asia live in rural areas and the programme was not integrated into the public health sector. So in pursuit of a scalable model of care that could work in South Asia, Jafar with colleagues has designed a system that is being tested in rural areas of Pakistan, Bangladesh, and Sri Lanka. In Pakistan 61% of the population lives in rural areas while it’s 65% in Bangladesh and 80% in Sri Lanka. The new trial tests a model with five components. The first component is health education by publicly funded community health workers. The workers receive four days of training on nutrition and lifestyle with information that is locally tailored and in the local language. Devising the information took some six months. After each training session the workers complete a checklist. The second intervention is training the community health workers to use a digital portable monitor to measure blood pressure. There was real doubt about whether the workers would be able to use the monitors, but not only can they use them accurately but they feel empowered by having them. Indeed, workers who are not in the trial are keen to have them. The workers refer to doctors all those with blood pressures above 160/100 mmHg. The third intervention is training of the doctors with an algorithm, and they too are expected to complete a checklist. The fourth intervention is to introduce into each clinic is a triage counter managed by a hypertension coordinator who measures the blood pressure of the patients before referral to the doctor and keeps records. This intervention was requested by the health authorities in the three countries. The fifth intervention is a payment to community health workers for extra work and means-tested support for the poorest patients to provide travel and free drugs. Importantly these interventions have to be tailored to work within the three health systems, and the financial incentives work differently in the different countries. Some countries, for example, do not allow extra payments for staff. Each country has 10 clusters in which all five interventions are compared with usual care. Six clusters in each country are close to the clinics (within 2 Km) and four distant (greater than 2 Km)—very distant in some cases, particularly in Pakistan. Each country has recruited some 900 patients with hypertension, providing sufficient power for a within country analysis as well as an analysis across countries. 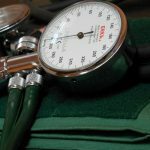 A feasibility study of the intervention among individuals with uncontrolled hypertension showed a reduction of systolic blood pressure of 14 mmHg in Bangladesh, 10 mmHg in Pakistan, and 7 mmHg in Sri Lanka. The trial takes all comers, including those with diagnosed hypertension, and the differences in response are probably explained by starting blood pressures and the relative effectiveness of health services. The trial, which also includes qualitative studies and an economic evaluation, is underway, and results are expected in 2019. Fidelity studies show—surprise, surprise—that the community health workers do their work very effectively but that there are more problems with the doctors. Because the aim of the study is the introduction of effective systems for managing hypertension into the countries in the trial and eventually others there is a National Advisory Committee for each country that includes representatives of government, professional organisations, and non-governmental organisations. There is much enthusiasm for the programme, and it’s a challenge to stop roll out of the programme before the trial is completed. But already the trial has made a difference through devising educational materials, training staff, and raising awareness of hypertension. I sometimes worry that the programme is dealing with one cause of one of the non-communicable diseases, but hypertension is the main cause of the biggest killer cardiovascular disease, and, as somebody said at the seminar, hypertension is the place to start because its easily measured and studied and the interventions are relatively simple. There’s every reason why a system devised for managing hypertension can be extended to other non-communicable disease.